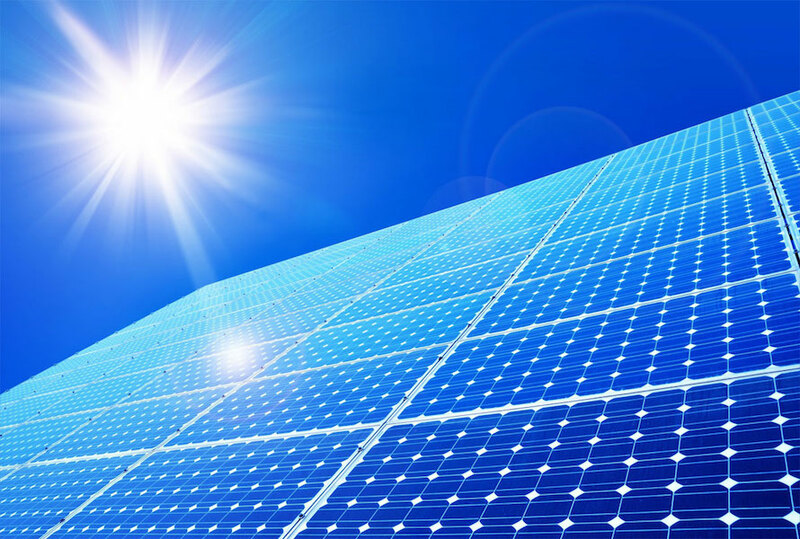 Solar modules are the most important component of your solar PV system since this is where the incident sun rays are captured and converted into electricity. Solar modules also are the biggest contributor to the total cost of your solar system. So needless to say, when you decide to go solar, you must pay special attention to picking the best solar modules for your plant. Dwindling cost of solar modules over a period of time has been one of the key contributors to the cost reduction of solar systems. With improved automated manufacturing processes and cut throat competition in the market, the cost drops have been possible both by the economy of scale and capacity overhang. However, it goes without saying that one must go for the most cost-effective module while ensuring high quality and generation. Today, one has the luxury of choosing between several modules makes in the market, right from India manufactured modules to global modules. Making the right choice, therefore, can be daunting. While you can refer to one of the lists widely available on the web such as the Bloomberg Tier 1 Module list and cherry pick for an idea, it is best to know what to look for when you decide to choose the modules. Here are nine things that we highly recommend for you, to keep an eye on, when selecting a module for the rooftop solar PV plant. If you are considering solar, you must be aware of the difference in cost in a module that is made in India and one that is imported from the global market such as, say China. Where a module that is being imported may cost in the region of about Rs 19 to 20 per watt peak for a Tier 1 module, an Indian make will set you back by about Rs 25 to Rs 26 per watt peak. In the coming year, it is widely predicted that the cost of the global module may drop down to about Rs 17 while the Indian module cost may come to about Rs 21-23 per watt peak. The costs here are indicative and landed costs and may vary from manufacturer to manufacturer. The incoming GST may throw a spanner in works, where there is a possibility that the government may put some kind of an import duty on the imported modules, especially to push the ‘Make in India’ initiative. However, for now, going with a global module, will be more cost-effective for your solar plant. Bill of Material is the material that has gone into the manufactured module and largely determines its quality and cost, therefore, it is a must that you run the BOM past a solar expert before you make a decision. BOM is extremely critical and can be sometimes difficult for a layman to interpret. Both long-term and short-term performance of the plant can be affected by an inappropriate BOM. If you are presented with BOM, keep an eye on the quality of the solar cells used, EVA - Adhesive, back sheet, glass cables, junction box, etc. If the BOM of modules is of an inferior quality, it would lead to a reduction in the lifetime as well as the performance of the solar plant. How the modules are manufactured also has a strong bearing on the performance as well as the overall cost of the modules. If you are given an opportunity by the module manufacturer to visit the manufacturing facility, you should take a chance and do so. This may be more difficult if the modules are being imported. However, when choosing the partner, do quiz him about the manufacturing process. A simple case may be, that if the partner’s manufacturing process is not automated and requires a lot of manual work then there is a chance of introducing micro-cracks which may grow later under cyclic thermal stress manifesting in various failures. Another possibility could be poor lamination (adhesion or air bubbles) which can hamper the life of the module. Since a layman is not an expert in module manufacturing he has to take the help of an expert. As a rule of thumb, power tolerance of your module must always be positive. While it is an industry standard now that only modules with positive tolerance are sold, always insist on checking this with your supplier. Ask for the flash test data (I-V characteristic) for each module that has been supplied so that you are sure of the power tolerance of the module that you will be placing on your rooftop and track its performance in future. Most of the modules sold today have a tempered glass of 3.2mm thickness. It is only with this minimum thickness that modules can pass the IEC tests. However, if you live in a region where there is a lot of hail or snowfall or your rooftop is susceptible to things like coconuts falling from trees, you could also consider 4mm thickness glass modules. While more often than not, protection is mentioned in BOM, if need be, you should go into more specifics and details for the same. Certification: It is extremely important that you go for modules that are certified. If you are already considering solar, do ask for the certifications that the module being offered to you has passed. Some of the certifications that are important are IEC 61215 for design qualification, IEC 61701 for salt mist corrosion testing, IEC 61730 part 1 & 2 for module safety qualification, IEC 62716 for Ammonia Corrosion testing which is advisable for site conditions like dairy, mines, toilets etc. Needless to say, the above standards pertain to Crystalline Silicon modules which are most common for the rooftop installations. If you live in an area that experiences extreme weather conditions, it is a must that you check the certifications to ensure that your modules are tested in the weather condition. Seek the performance warranty from the module manufacturer. Most modules have a degradation rate of 2.5% in the first year followed by a linear degradation of 0.7% year on year for the next 25 years. However, good Tier 1 modules do not degrade on an average more than 0.4% year on year, linear. Even post purchasing, you must keep an eye on the module degradation and hold the seller responsible if the degradation is more than what has been mentioned. Tier-1 Global modules generally come with a warranty of 10-12 years against any defect in workmanship. Most of the Indian modules also offer a warranty anywhere in the region of 10-12 years. Be sure of doing a thorough check on the market standing and financial health of the company before picking the modules. A Tier-1 company is most likely to be financially secure and will stand behind its warranty in case something falls apart, whereas a lower rated company, may not be always very keen to listen to complaints and claims post the sale. In order to be sure and make a secure investment, even if you are setting up a small solar plant, do insist on third party insurance for your modules. You must ensure that module supplier’s warranty is backed by international insurance companies like Munich Re, Power Guard, etc. to safeguard your interests. Other than the above, a solar expert will also keep a keen eye on AQL (Acceptable Quality Level), IPC (In-process Control), IQC (In coming quality control), OQA (Outgoing quality assurance), Packaging and Field Performance. While there are plenty of other things for you to safeguard and check when deciding the module partner, these some of the things that you must keep in mind. Since most of these can be quite technical and difficult to understand if you are not from the background of solar, it would be useful to give the task of choosing a module to a technical expert as it can make or break the performance of your rooftop solar plant. With MYSUN, you can always be assured that the installed projects will feature only the best solar modules, rated Tier-1, with all these pointers already taken care of. In fact, if you need to discuss any of these points with our solar experts, we would only be glad to help. We hope, the information above would help you make a sound and an informed choice. I want to install solar plant. Sir rooftop solar systems have any subsidy to house purpose or comnercial purpose ??? Thanks for your query. We have shared an E-Mail with you for the same. Greetings. I have been trying to get in touch with your team for a while now, with limited success. Would you be interested in partnering with a manufacturer of Tier-I modules with patented manufacturing technology that guarantees 3% higher output compared to standard Tier-I modules? Please drop an email and let me know!